At Tossing It Out the Blogging from A to Z Challenge got off to a crazy start with a Battle of the Bands post. If you missed that one then I hope you'll go to the previous post and vote for your favorite song. But that was yesterday and yesterday's gone. Today we have another double dose of blog craziness. Bacon is probably one of the most popular food substances in the U.S. I can understand why. I love bacon! These days this idiom "bringing home the bacon" refers to bringing in a paycheck or to be successful at something. Isn't that what we want to achieve from our marketing efforts. Our success usually depends on our willingness to work at selling ourselves and then ultimately selling whatever it is we are trying to sell. It's a scary proposition for most of us. We might have to meet people and talk about ourselves and our products. We might have to step out of our comfort zones. If you're a writer that might mean you have to stop writing and reading long enough to pound the pavement, make phone calls, or exert some marketing strategy. Bringing home the bacon ain't always pretty or easy, but it's a darn sight better than making the sausage. And nobody wants to know what's in the sausage. Even if you've got a powerful PR machine behind you, there are some points in time when you have to get out on the marketing stage and do your act. The elusive writer in seclusion may exist in some rare instances. But most writers are going to be on their own and that probably includes you. Are you willing to work at promoting your products (your writing)? Do you understand that selling books requires marketing effort exerted by somebody? Do you like bacon? Selling yourself is the hardest part of working for yourself - as a musician we're constantly on the phone or email asking for a gig or a radio play or whatever .... wrecks my head ... but you have to eat! Too true! Selling yourself and your business is the hardest part. Believing in yourself and getting it across to others are 2 different things. Just keep following your heart - it's usually right! selling oneself is damn so hard!!! Nice write up! Glad to meet you thro AToZ challenge! I like bacon. Going now to check out your battle of the bands. Enjoy your day! I do the best I can and rely on my awesome support circle. Ask any vegetarian what they miss most and they will most likely say, "bacon.' I have had great difficulty doing the self promotion of my writing "thing." I dont know if i will ever be cut out for it! Being a dog, Bacon is like my lifeblood...I can't imagine existence without it. Bringing HOME the bacon is something mom & dad are responsible for. Luckily they seem to be pretty good at it as I always have plenty of it. Promoting is my true weak area I am slowly getting better at it. BACON!! Love it. It reminds of a joke I heard once that makes me chuckle from time to time. "The pig is the most wonderful animal in the world. You feed it an apple and it makes bacon." After many years of 'Bringing Home the Bacon' I'm thankful that I can write/publish/blog without worrying about all the 'Hogwash' that goes with 'self promoting'. I don't eat bacon...I hope that doesn't make me un-American...Oh! I just remembered...I'm from Texas and we are our own Country/State of Mind...wink!!! I don't buy bacon, (does that mean I'm not bringing it home?) but if I go to restaurant to eat breakfast, I'll have it. As for self-promoting. I'll do what I can, but I'm not going to rip my hair out over it. It's kind of scary to think that I'll (hopefully) be self-promoting in the near future. But what's the point of working so hard on your writing if you don't work equally as hard to get people to see it? Love bacon but haven´t had it in a looong time. Iran frowns upon pork products. And I myself am intimidated by marketing and self-promotion but understand its importance. I just found out about the A to Z challenge, and it seems to fit right in with your challenging thoughts on self-promotion. Coincidentally, I blogged about April fool's day and a Birthday celebration this month, so I'm on track. I would love to join the fun/work but the linky is closed. 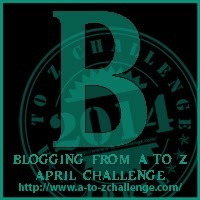 Any chance I can still get in on the A to Z bloggers challenge? 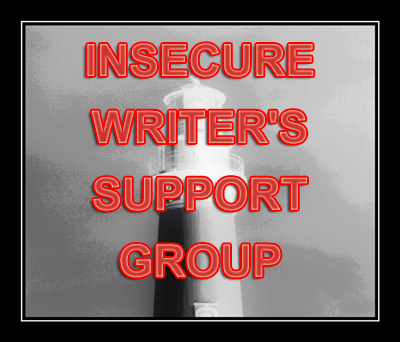 My ISWG post is all about whether I will be able to do what I need to do once I finish my book. Oy! I am also fond of the phrase "save my bacon." For the longest time, I cut pork out of my diet trying to get rid of the migraines. Anything I even "suspected" might make them flare up was OUT. Turns out that pork is fine and I slowly added it back in. I like ham okay, but I love bacon. Love love love it. My IWSG post is about Troubles, something that I draw like a magnet. It's always interesting that when you focus on an idiom you've heard forever, that you suddenly think, "Where did that come from?" I had that happen with, "He's not worth his salt." Had to dig and find out where that started. I learned a lot by just looking that idiom up. I just picked up some bacon on sale yesterday...love it when that happens, because it's so expensive these days. Why do I bring this up, you ask. Because too many times, we spend our energy promoting ourselves in expensive ways, ways that hinder our product promotion, rather than improve our efforts to get it out there. Testing the marketplace is important, as is having the right platform and tuning into your audience. Ever see a really cool store in the wrong location. The product is great. The service is great. The atmosphere is great. The traffic - not so much. If you want to bring home the bacon, you have to strategically place yourself where you will be noticed, and then deliver the goods, so you can watch your success continue to grow. Great post! Happy A to Z! I'm a reader, so fortunately I can just cozy up at home and enjoy the writers, lucky enough to have been published. Through the A to Z, I have met many writers and learned about their struggles. I now appreciate books even more. Thank you again for this wonderful adventure, the A to Z Challenge. I love bacon...Marketing and self promotion a hate as much as I do love my bacon :)I must likely will end up with a fat belly and not a fat wallet! Thanks - I needed some prodding since Spring has sprung. I signed up for the challenge to impose a deadline structure to show up at the page. Of course its a touch job to self promote and sell oneself as well. Anyway, that's a nice write up. So many great comments and so little time to address them all individually. There seems to be a consensus in favor of bacon and not liking self-promoting too much. Remember that even meeting someone for the first time entails an element of self-promotion. It's all about making a good lasting impression in hopes that people will remember you and associate you with what you want them most to remember. I believe the phrase originated from Olde England when a bridal couple were given a side of bacon to start off their married life. I don't like bacon half as much in North America as I did in the UK where we could get smoked back bacon, delicious stuff. I think I would have a hard time "putting myself out there" to promote myself enough--I get so afraid of rejection! This is actually my first time participating in the A-Z challenge because I've been nervous about judgment. But it's been so positive so far. So, reaching out and following this site and the challenge site! I like bacon, but only if its really thick cut. Especially not the kind of sausage that super popular in my family, NOT ME! Morcilla (pronounced with a soft s sound). It's blood sausage! Yep, made with blood from the pig, mixed in with rice and stuffed into its intestines! In Philadelphia, we had something that I believe originalted with the Amish, called scrapple. Scrapple was everything that was not good enough to be sausage. I never worried about what was in the sausage...but always felt sorry for what was in the scrapple...it was the meat equivalent of the last kid picked for a pick-up game. I just told a story the other day about when I had a job in an Italian Deli. I had to make the sausage with the old grandmother. Oh,Dear. It was awful; I never went back. My sister just self-published a children's book. It is not easy or inexpensive. But she is doing it. We are helping her in all the ways we can. Did I mention that I LOVE bacon?! I'm not bringing home a lot of bacon these days. I can talk to a complete stranger about anything... except my work. It's the same way with singing; I have to know someone well to sing for them, recording something puts me on edge. Marketing is my least favorite part of writing. I'm so so on the whole bacon love. I always think about how unhealthy it is and it ruins the enjoyment for me. Yes. And, I touched on a similar topic on my IWSG blog post today. (My A-Z post is on bread, also a good metaphor for money.) I need to stick my neck out a little, toot my own horn, and get some paying gigs. I dread PR. Maybe once I'm done with all the edits in my book, I won't be so nervous about it. Right now, my approach is to only look at what I'm doing right now rather than fear what's ahead. Poor planning but it works for me. Hmmm, now I want some bacon. It's funny how we can often tout the merits of someone else's work or talk up something that we like, but when it comes to selling self its like were embarrassed or afraid. Or as some have pointed out there's that fear of rejection. Yeah, I know rejection isn't pleasant, but not even giving yourself or your product a chance is the real failure in life. I prefer getting out and meeting the readers and in one year had almost 100 book signings. I'd love to repeat that experience but buying the books, even at a discount, paying the shipping costs, and the table fees has become an expense I'm not willing to make. And even fewer bookstores are willing to put out the effort if you're not a well known name. Catch 22 - and why online marketing is so important, besides the fact that it reaches the world! I would love to know what people's most effective promotion strategies are. There is so much out there but it's hard to know what works. I like bacon, but bacon desserts just don't rate with me. That's a little OTT. I'll pass on that one. I don't even eat Bacon, but thanks for starting this challenge. I am having a lot of fun reading different posts. For an artist's soul it is hard to market oneself. You have to get yourself out of your comfort zone to bring home the bacon! I quite liked the analogy! I can't comment on bacon as I've eaten it only on a few occasions. Whether one likes it or not, self-promotion has to be done. I'm not comfortable doing the loud, demanding kind of self-promotion, though I do it very well ONLY when it comes to promoting a cause that I'm passionate about. When it comes to promoting for business reasons, I go for subtle self-promotion: putting my best foot forward in whatever interaction I have with potential customers. Promotion is both important and tough. Mmmm bacon...what was I saying? Right, bacon. My fave is peppered bacon - so yummy! I love bacon. I'd eat it every day if it wasn't so darn expensive. As to self-promotion and marketing, I had to learn how to do some of that when I published a co-authored cookbook last summer, and I'll need to do it again when we release the book in a hard copy (hopefully this summer). I don't like it much...I don't want my blog to be full of ads. But I want to make money blogging, so advertising has to happen sometime! I'm horrible at the marketing aspect of "Bringing home the Bacon"! Every once in a while I get on a kick and do pretty well at promoting my blog, but usually I just plain drop the ball. What a good reminder to get it in gear!